By following the basic principles of a healthy lifestyle, you can substantially decrease your risk of disease and illness, and can greatly improve your quality of life – for the rest of your life. Don’t smoke. Tobacco addiction is the single greatest cause of preventable illness, and tobacco smoke is the most obvious environmental cause of cancer. Exposure to tobacco smoke not only increases the odds of developing many kinds of cancer, it also raises the risks of cardiovascular and respiratory diseases that are simply incompatible with healthy aging. Since almost all cases of tobacco addiction begin in the teenage years or earlier, this message should be heeded by all ages: do not experiment with smoking – the chance of becoming addicted is too great, and this is one of the hardest of all addictions to break. Watch your weight. Morbid obesity, sometimes defined as being more than a hundred pounds above one’s “normal” weight, is incompatible with healthy aging. Carrying extra body weight increases the risk of many age-related diseases, including cardiovascular disease, type 2 diabetes, and osteoarthritis. Ordinary obesity – weighing at least 20 percent more than you should – correlates with milder forms of those diseases as well as with increased incidence of postmenopausal breast cancer and cancer of the uterus, colon, kidney, and esophagus. Eat a healthful diet. With so much publicity about the obesity epidemic in North America, people have become obsessed with weight and dieting. Fad diets are more popular than ever, outlandish products claiming to promote weight loss are ubiquitous, and bariatric (weight-management) medicine has become a booming specialty. 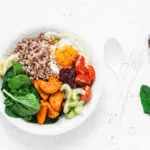 Planning a healthful diet is relatively simple – use the Nutrition section to learn more about the Anti-inflammatory Diet. Be cognizant of your wellbeing. Accidents, violence, and suicide are common pitfalls for the young as well as the old. If you like adrenalin highs, be careful about how you get them. Know the hazards of the activities you choose and know how to contain them. Taking care of the body means different things at different stages in life. Disregard for your health and unhealthy lifestyle habits can markedly increase the risk of chronic disease in later life. Healthy aging is, in part, knowing how to evaluate the risks involved in your behavior, as well as letting go of behaviors better suited to younger bodies.